Today the Church celebrates the feast of St. John Fisher and St. Thomas More. It is also the start of the Fortnight for Freedom. St. Thomas More, patron of statesmen and politicians, serves as a model of charity, courage, and fidelity for all seasons. Like Americans today, he was challenged in 16th century England to rise to the defense of his faith and the liberty of the Church. We celebrate his feast on June 22. In the superb play and film, A Man for All Seasons by Robert Bolt, Thomas More is deftly portrayed as a martyr of conscience. He is unyielding in his stance against King Henry VIII’s move to divorce Catherine of Aragon to marry Anne Boleyn. Ours is a season in which Christians face the challenge of remaining true to the faith despite political pressure, the threat of sanctions, and the stigma of social ostracism. The HHS mandate is but one example. Secularism is rampant. The reign of King Henry VIII began with much hope for England. In fact More had called Henry “the everlasting glory of our time.” But gradually the situation deteriorated, and after 17 years on the throne and 17 years of marriage to Catherine, Henry began an affair with Anne. Nor was it his first affair. Determined to put Catherine aside and marry Anne, he asked the pope to declare his marriage invalid. The king tried to enlist the keen legal mind and impeccable reputation of Thomas More to support his divorce effort. But More declined and carefully presented his reasons. The unsatisfied Henry ordered More to re-examine the king’s position with advisors who sided with the king. More did so, and pointed out that the key question was not in the details of the marriage law, but in the king’s desire to dictate Church teaching and discipline, to define what it meant to be Catholic in England. That authority belonged to the bishops in union with the pope. The disappointed Henry still believed he could sway More to his side by appointing him lord chancellor. More did not want the position, but saw it as an opportunity to defend the Church’s liberty and possibly steer Henry away from a break with Rome. Besides, refusal was hardly an option. Without ever speaking ill of Henry, More worked diligently to defend the Church’s liberty, and lobbied members of Parliament to reject unjust bills. He was loyal to the monarch, but God’s servant first. As the situation deteriorated Henry pressured the English bishops and levied enormous fines on them. 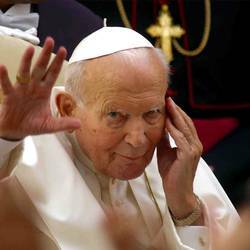 In the name of correcting clerical “abuses” he asked the bishops to grant him authority to make rules concerning the Church. The bishops refused and issued a stern statement of refusal. Henry responded with open threats of imprisonment and veiled threats of death unless he be given full power of Church governance. When the bishops met again to formulate their reply, he gave them an ultimatum to capitulate to him that very day or suffer the consequence. In a close vote, the bishops succumbed. Thomas More resigned the next day. Though he never criticized the king, all of England and other countries understood why he removed himself as chancellor. And the king’s ire was obvious. Thomas More insisted that the spiritual authority and rightful liberty of the Church were given by God to be exercised by the bishops in union with the pope. No secular power, no king, no parliament, nor any civil law has jurisdiction over one’s soul or the Church’s beliefs. No ruler has the right to determine Church teaching or to direct the bishops in governing Church life. More’s resignation stung. It would have been easier for him to give in to the king, as many did, even priests and bishops. But his well formed conscience dictated otherwise. He obeyed every lawful directive of the king, but he was God’s servant first. He knew only too well that no human law contrary to God’s law was binding. Parliament passed that Act of Supremacy, which declared Henry VIII the supreme head of the Church in England. To deny that title became a capital crime. Each subject was required to swear an oath affirming it, or face imprisonment. Henry very much wanted the agreement and support of Thomas More, so stellar was his reputation as a statesman. But More, an astute lawyer, knew he could not be executed for a simple refusal to swear an oath. He sought strength in silence and in prayer. Soon Sir Thomas More was arrested and imprisoned in the Tower of London. His property was confiscated, and that impoverished his family. Repeatedly he was asked if he denied the King Henry VIII’s new title. To reply honestly meant death, so More remained silent. After a year of imprisonment the crown charged him with treason for allegedly denying the king’s new title in a conversation with one of the king’s agents. More unequivocally denied the charge. 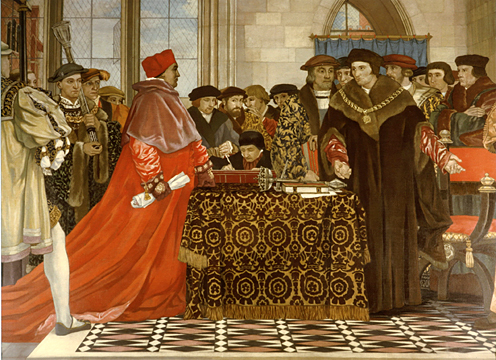 The trial of Thomas More is one of the most celebrated in English history. His masterful defense practically upset the carefully laid plot to condemn him. One account reports More arguing that just as the city of London lacked authority to annul an act of Parliament for the whole of England, so Parliament lacked authority to transfer governance of the Church to the monarch because the Church was entrusted by God to the bishops and the pope. He explained that this was embodied in the Magna Carta two centuries earlier and was recognized by all Christendom. The chief judge was stymied and hesitated, “loath to have the burden of that judgment wholly to depend on him.” After consulting with his colleagues he finally condemned More without ruling on his objection. When Thomas More mounted a scaffold on Tower Hill and his masked executioner stood at the ready with axe in hand, a crowd waited to hear his final statement. Contrary to custom, Henry ordered that he “not use many words,” because More was a formidable advocate, and Henry’s assumption of supremacy over the Church was politically unpopular. The king had strongly pressured Parliament with unprecedented bribes and threats. He would take no chances now. More’s case was already widely known. Only three years earlier Sir Thomas was lord chancellor, second only to the king himself in the entire realm. His integrity was impeccable. He had an international reputation as a humanist, scholar, writer, and jurist. He had been among Henry’s most loyal advisors. Now he stood alone at the executioner’s block. For all seasons and for all peoples St. Thomas More is a model of patriotism, citizenship, and faith in action. God’s servant first. The following is an excerpt from Immaculee Ilibagiza's book Our Lady of Kibeho: Mary Speaks to the World from the Heart of Africa. 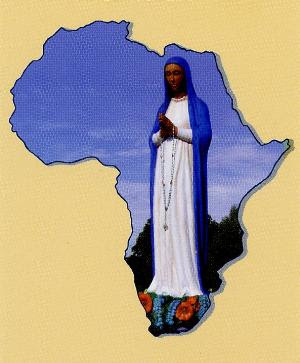 Note: Kibeho is the only official Marian apparition site in Africa. It was a message given to a young man who heard Jesus speaking to him. As Father Rwagema the priest introducing the message to Immaculee and the other children said: "It may be Segatshya's voice you're listening to, but his words come directly from Jesus. "Our Lord says to stop asking for miracles," ..."because your lives are miracles. A true miracle is a child in the womb; a mother's love is a miracle; a forgiving heart is a miracle. Your lives are filled with miracles, but you're too distracted by material things to see them. Jesus tells you to open your ears to hear his messages and open your hears to receive his love,. Too many people have lost their way and walk the easy road that leads away from God. 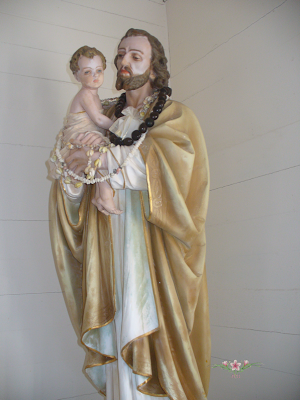 Jesus says to pray to his mother, and the Blessed Virgin Mary will lead you to God Almighty. The Lord has come to you with messages of love and the promise of eternal happiness, yet you ask for miracles instead. Stop looking to the sky for miracles. Open your hear to God; true miracles occur in the heart." 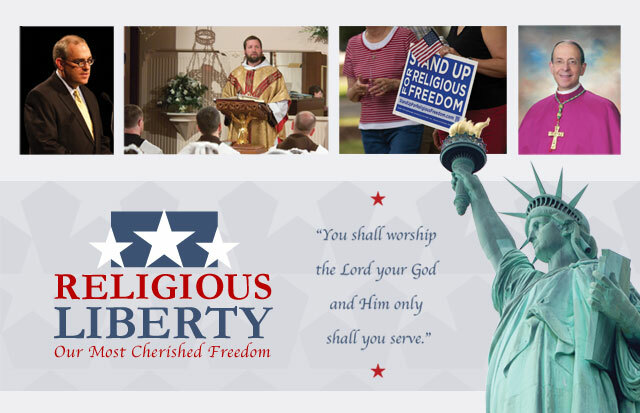 Join EWTN on the Front Line, As We Stand Up For Religious Liberty! The Opening Mass for the Fortnight for Freedom. Mary, in Baltimore, Maryland, with Archbishop William E. Lori, Celebrant. Novena of Masses with the Franciscan Missionaries of the Eternal Word. 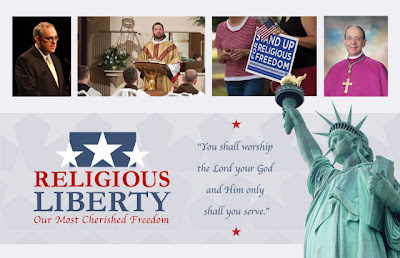 on the Religious Liberties website. www.religiousliberties.org. Live From the Basilica of the National Shrine of the Immaculate Conception in Washington, D.C. with His Eminence Donald Cardinal Wuerl, Celebrant. featuring the Most Reverend Robert Baker, Bishop of Birmingham, Alabama and EWTN President/CEO Michael P. Warsaw. Visit our website for more details. Vatican City, 19 June 2013 (VIS) – Today, the Congregation for Divine Worship and the Discipline of the Sacraments issued a decree, dated 1 May and signed by the prefect of that dicastery, Cardinal Antonio Canizares Llovera, which provides that, after the Blessed Virgin Mary, the name of her husband St. Joseph also be read in the Eucharistic Prayers II, III, and IV.